How would you describe your health before receiving upper cervical chiropractic care? Chronic pain for multiple years that kept getting worse. The pain was from head to toe and was accompanied by fatigue. It kept me from being able to exercise or engage in social activities. I was unreliable as a volunteer because I never knew if I’d be in too much pain to make scheduled days. 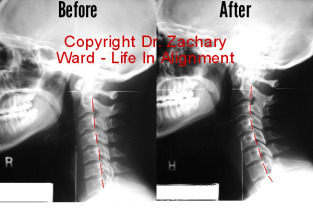 What is it that you heard or read that made you decide to choose Life In Alignment Chiropractic? My husband heard you speak briefly about neck injuries, and how it was your focus. Yes. Past chiropractic care was unsuccessful for me. I saw someone 2 to 3 times per week for 1 year, and ended up with “new” areas of pain. What are three of the benefits that you’ve noticed since you’ve begun upper cervical chiropractic care? Less fatigue. Sleeping more normally. Not Groggy. Increased energy and therefore more motivation to do pretty much anything. Greatly decreased pain followed by an eventual ability to resume exercise. My pain used to easily reach an 8 on a 1-10 scale several times a day. Now it rarely reaches 8. Most days my pain remains below a 3 or 4. Feeling like I am getting my life back!!! Thanks! You are friendly, knowledgeable, and compassionate.